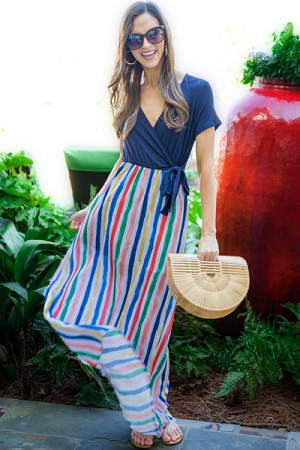 The perfect maxi for dinner at the beach! 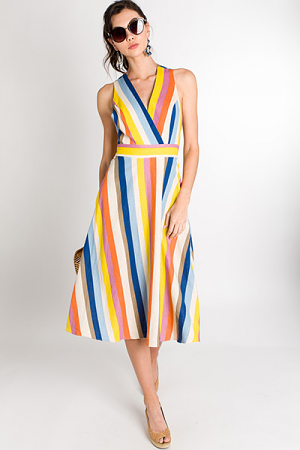 Contrasting blue and white, asymmetrical stripes with a simple silhouette and double splits. Straps are adjustable and dress is half lined. Fit is true to size. Model is wearing size small. Length measures approximately 60" for all sizes.